from Boots online and they're all so beautiful and compliment each other so well. I first have to apologise for Pink Lemonade having no label in my photographs! I experienced the frustration of being sent the most scratched and damaged bottles from ordering them online and ended up removing the label as it was scratched beyond recognition. Most of the polishes also chipped somewhat, though I have tried to avoid exposing this in my photos. Anyone else experienced this? The formula inside is fine but I'm making mental notes to purchase in store in future. They are all lovely for accentuating a tan and the names sound so edible! From left to right, we have Butterscotch Sundae, an ecru caramel beige, Pink Lemonade, a strawberry milk pink with a vintage vibe, Acai Smoothie, a darker lilac pink, and Cream Soda, a milky coconut off white. I used the 2 for £5 offer online, but they retail at £3.99 each. I've been so impressed with the formula of these! They are so likeable, uber shiny and glossy and look so pretty on the nails, especially juxtaposed with tan skin. They are all pretty easy to apply, although the lighter shades can be streaky and it can be tricky to apply multiple even coats without the polish drying all clumpy and smudgy. My favourite to apply is Acai Smoothie as it instantly goes on so lovely, glossy and opaque and barely needs another coat. All of the shades seem to have equal longevity and lasted about three to four days before beginning to chip. This only gave me an excuse to try out multiple colour combinations haha! I'd been growing out my nails specially so it was so nice to treat them to some strawberry ice cream shades! I hope you're not too hurt by the news of the EU results, I'm not sure what to think yet but I'm certain we can pull together in this new age and make it great ♡ I also have a little life update and travel diaries coming soon! Have you tried Barry M polishes? These are lovely colours! I don't own anything from Barry M so i might need to go shopping soon! I love barry m nail varnish, especially the gelly formula. I have the cream soda shade and its my favourite right now! Ooh, these colors look really dainty and sophisticated. I'm loving all of these shades! They look perfect for the natural look & for weddings! Can't believe what I'm reading about the damaged bottles though - I had no idea that Barry M were like that! Ohh these are such a cute nailpolishes! hey elizabeth great post. 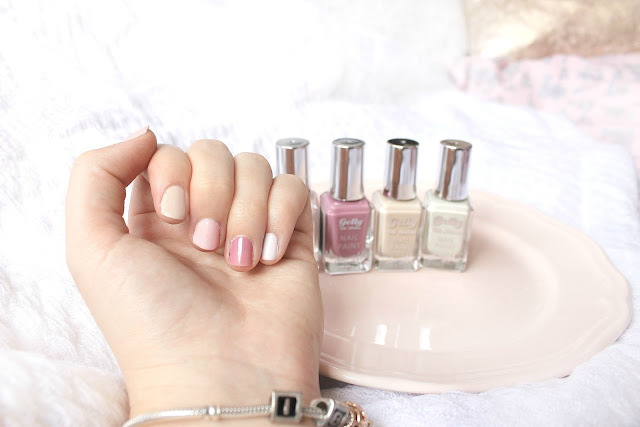 love the nail polishes, great for spring and summer! thanks for the comment on my blog, I followed you on bloglovin. I would be so happy if you followed back! I like all of the colours, they're all so subtle and feminine, and I think they'd pretty much go with anything to add a bit of colour. I really like the shade names of these and they are really cute colours. I think I have one Barry M nail polish which is quite good. I wouldn't mind getting a coral one for summer time. Great offers with boots lately also! I love these shades! It's a shame they arrived a bit battered and were streaky to apply but overall they sound very good, four days without chipping would be a miracle for me so I'll have to try these. I love the colors! I always hear so much about Barry M nail polish. I wish we had it here in the States. Lovely post! 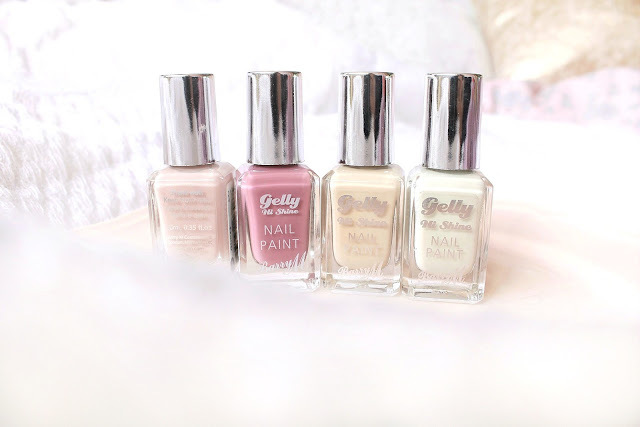 Love Barry M varnishes but i havent tried the gels, these picks compliment each other so well, i think the coconut one is my fave, theres something about cream/white nails right now! Such pretty colours! I have this formula in a pale blue, and really love it - these ones might have to make their way into my collection, too! Ah Barry M do some seriously gorgeous colours! Such a shame about the damaged/ scratched bottle though. (And twice as annoying because you're photographing them)! Oh my what a gorgeous colour selection! I haven't used Barry M nail polishes in years, but this is definitely making me feel like I should give them a try again!